Count your lucky stars and have a pop at Lucky Count, a spooky little pokie for all of you supernatural spinners out there. This game is up there with some of the best novelty themed pokies from the veteran software developer, Aristocrat. With 5 reels and 25 paylines, the game sits comfortably in the middle ground of the market; not too tricky to get the hang of, and not so basic that its’ going to bore your socks off. Without further ado, let's start with how to play this online pokie, because we are sure that you are all eager to get your teeth stuck into the action. Before you go ahead and do that, there a few things that you need to know. First of all, you can alter the amount of paylines in play and the size of bet which is placed on each line by toggling the buttons at the bottom of the game screen. The wagers start from as little as 25 credits and go up in the following denominations: 50, 75, 100, 125, 250, 375, 500, 750, 1000, 1250 and 2500. That gives players plenty of opportunity to play it safe and take some big risks. Just make sure that you don't bite off more than you can chew! This pokie may have a pretty macabre exterior, but really it is quite harmless on the inside. With cartoon graphics and arcade sound effects, it is certainly more funny and thrilling than it is scary and chilling. As players enter into the vampire's lair, they will encounter all of the staple props of the horror genre classic. There is a flaming candelabrum, a golden goblet which is a-slosh with red liquid (we highly doubt it is a fine Malbec), and a howling wolf. Two of the more valuable special symbols are a red rose and an ominous looking door-knocker. Do you dare knock and wake the vampire? Well, if you do awaken the vampire, then you might actually end up better off for it. That is because the vampire symbol is the most valuable in the game. It may not be a welcoming sight to behold, but players can also benefit from setting eyes on the haunted castle scatter symbol. 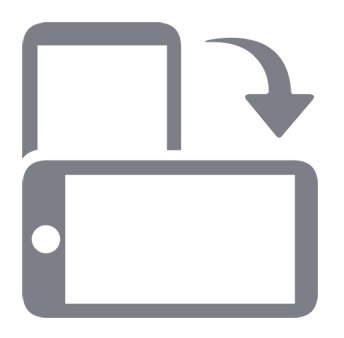 This is because when three or more of these symbols appear, you will be invited to take up to 40 free spins of the reels. That, punters, is a lot of freebies to get your blood pumping – just in time for your vampire host! 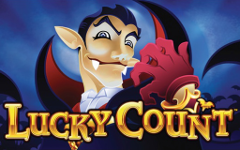 As with many other Aristocrat pokies, Lucky Count gives players the chance to boost their winnings with a simple to play gamble feature. In fact, the feature is available to activate after every single winning spin – you just need to click the “gamble” button to begin. This game raises the blood pressure dramatically by allowing players to option to multiply their wins by either 2x or 4x. All you have to have to do is guess the correct colour of a turned over card to double the bounty or, alternatively, you can try to guess the card's suit to quadruple the winnings. It's as simple as that. Well, it would be simple if you are having a lucky day! This online mobile pokie is a perfect prospect for any level of pokie machine player. While the graphics may not be at the very cutting edge of the industry, they are aptly comical enough to provide punters with a decent amount of entertainment value. Moreover, there are ample bonus features to give players every incentive to hang on in there. Because you never quite know when a wild vampire or bat might pop out of those dark corners to give you a profitable fright. Perhaps one of the best things about this pokie machine is the fact that it offers plenty of scope to modify the overall bet totals. This means that both casual pokie players and experienced punters with a strategic game-plan will be able to get something out of Lucky Count, no matter how big or small the pay-ins are.